Showing results for tags 'FD3'. Hi All, I'm planning to buy a car which is around 3.5m. Here is my favorites 1. Honda Civic FD3 (non hybrid) 2. Toyota Allion 240 3. Toyota Axio 4. Honda Insight 5. Honda Civic FD3 (hybrid) Please be kind enough to support me to find a good car from above list. And please advice me about the followings 1. fuel consumption 2. battery life of hybrids 3. maintenance / reliability of the vehicle Your kind advice / suggestions are highly appreciated .... Cheers :) !!! I hope to buy a honda civic FD3.I found one manufac on 2010 CAC number for 3.4M. Dear friends, my questions are, 1. 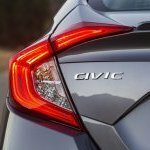 Do you know what are the trim levels are and how to know them and ascending order of trims[including adding features if possible]. 2. Does it worth 3.4M? [generally] 3.My friend told me that it is not fast and accelerate as other civic fds. Is it true? 4.Is there any way to check the battery condition? Thanks in advance.